Mid-week market update: The instant market reaction on FOMC day can often be deceptive. Instead of a general market comment, I will focus instead on analyzing sectors using sentiment, momentum, and contrarian approaches. 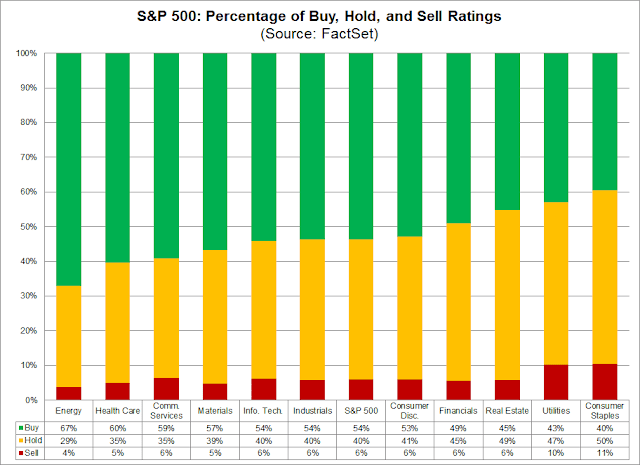 As a measure of sentiment, John Butters at FactSet recently analyzed sectors by the number of buy, hold, and sell rankings. 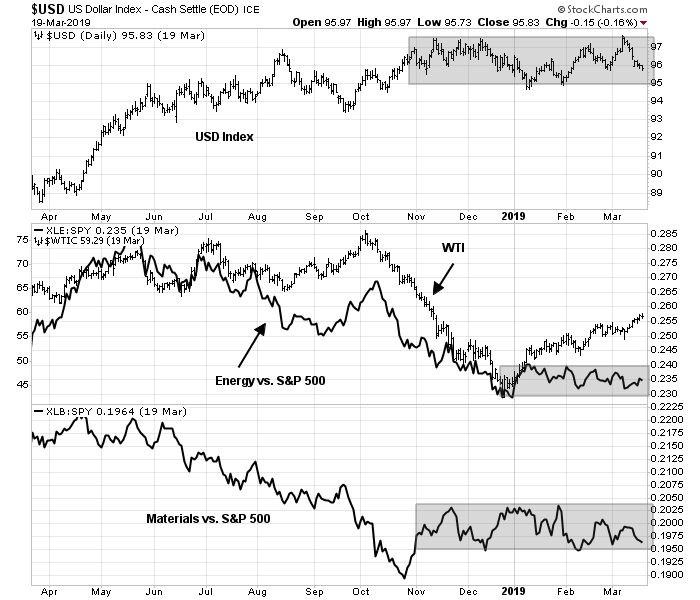 The sector with the most buy ratings is Energy, but I am going to set aside Energy and Materials from this analysis as commitments to those sectors amount to a bet on commodity prices, which has historically been inversely correlated to the USD. As the chart below shows, the USD Index has been range bound since November, and so has the relative performance of Materials. The relative performance of Energy to the market has also been range bound for 2019, despite the rally in oil prices. 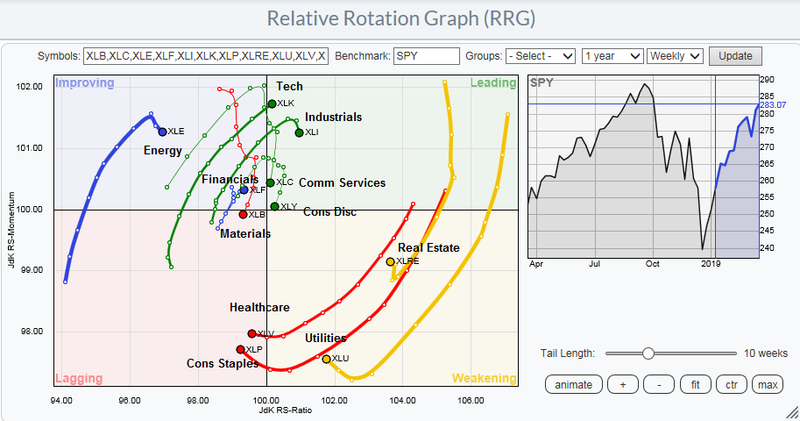 The least favored sectors are defensive, namely Consumer Staples, Utilities, and Real Estate, plus Financials. From a bottom-up aggregated basis, the presence of defensive sectors in the least favor groups indicates a high beta tilt in analyst rankings. The most favor sectors are mostly high beta sectors, which include Communication Services and Technology, which is heavily FAANG tilted, plus Health Care. This also indicates a high beta tilt from the analyst community. We see solid economic growth in the U.S. but somewhat below last year’s pace. Internationally, performances is mixed across regions as overall growth moderates. The Eurozone and Japan still appear sluggish while emerging markets growth eases at a gradual pace. A recurring theme in global surveys on economic activity is a negative impact from global trade frictions and heightened uncertainty. World trade is slowing, and leading indicators point to positive but ongoing deceleration in trade growth in the near term. Since our last earnings call, we have seen the overall China economy slow down further, and this has impacted other Asian economies. Given the size of China, no markets will be able to absorb more than a fraction of what China produces, but customers continue to look to diversify from China. We have also seen some customers evaluate mode optimization. Our network and portfolio lets customers respond quickly and act locally for our customers in China, as well as around the world. 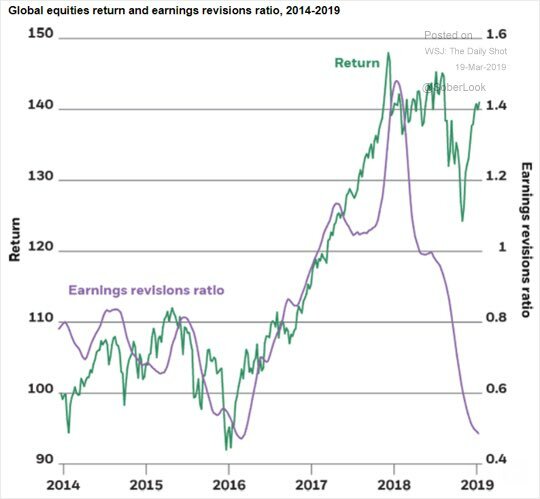 In addition to the downbeat assessment from FedEx, which is regarded as a bellwether for global economic activity, there has been also been an enormous divergence between global stock prices and estimate revisions. The following chart from Yardeni Research Inc. drills down at a sector level to how forward 12-month EPS estimates have been changing. The intersection of most favored by analysts and best estimate revisions is Health Care. The sectors with the best estimate revisions are Health Care and Industrials. Technology, which is highly ranked by analysts, saw estimates rise dramatically but recently saw some downgrades. The intersection of sectors least favored by analysts and a reasonable level of estimate revisions are Financials and Consumer Staples, which saw flat estimate revisions. 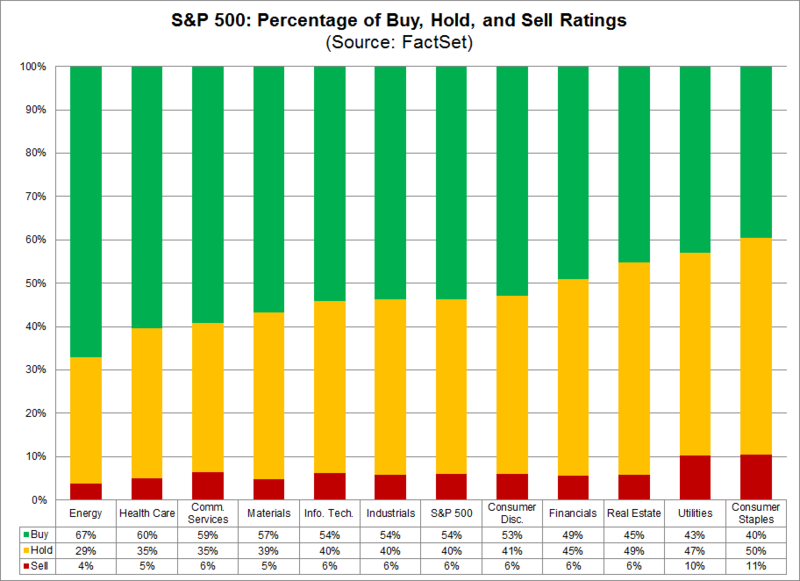 From a technical perspective, let us also consider how the sectors with the most buy rankings have performed against the market. Only Technology stocks are in a relative uptrend against the market. Health Care is in a relative downtrend this year, which is unsurprising given its low-beta characteristic and the market has been rallying. Communication Services stocks have been surprisingly range bound on a relative basis. Consider the same analysis for the least favored sectors. 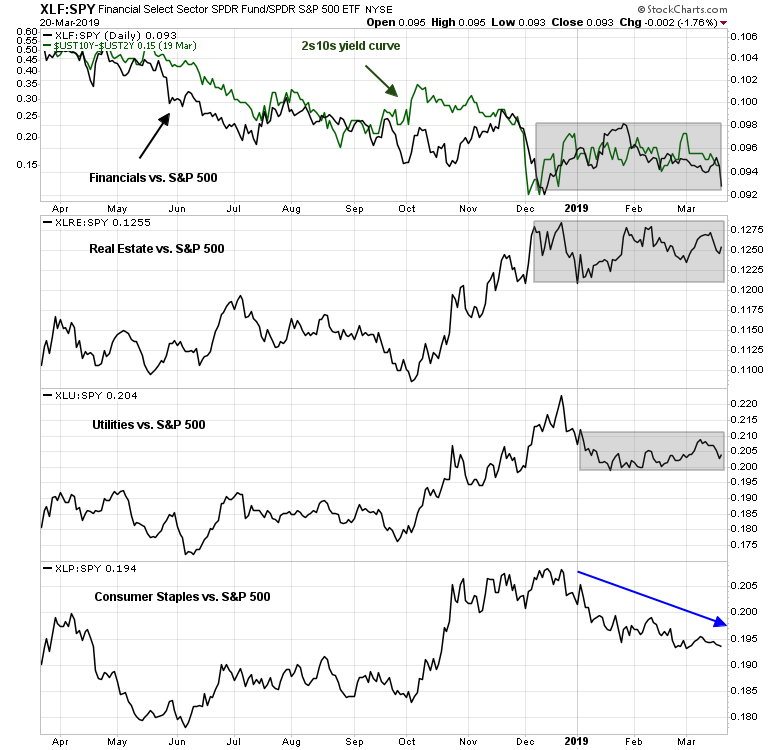 Surprisingly, all have been range bound relative to the market, except for Consumer Staples, which has been in a relative downtrend this year. Be aware, however, that the relative performance of Financial stocks have been highly correlated to the shape of the yield curve. A steepening 2s10s yield curve has historically been favorable to the outperformance of this sector. The analysis from RRG charts also supports the results of this analysis. Technology, Industrials, and Communication Services are the leadership groups, while defensive sectors like Consumer Staples, Real Estate, and Utilities are lagging. 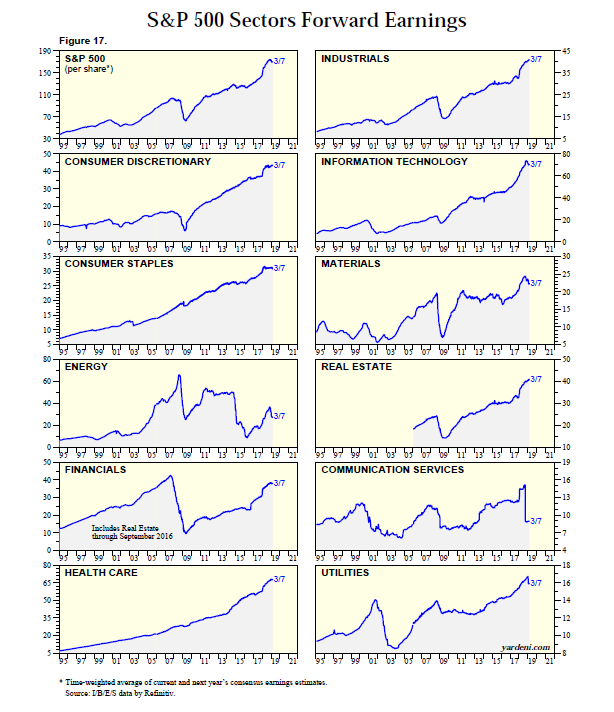 What sectors should you buy, or sell? That depends on your investment temperament..
For pure momentum investors: The choice is clear. Buy Technology. 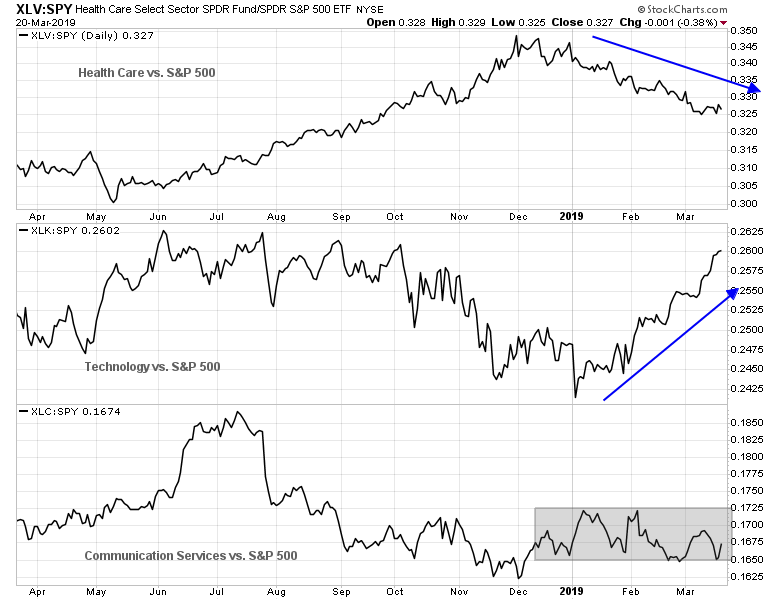 Fundamental momentum investors: The obvious choice of a favored sector with good analyst rankings and improving estimates is Health Care. A little ignored sector if you want to focus a lightly ignored sector with improving fundamentals is Industrials. Contrarian investors: Contrarian investors who want to focus on sectors with low expectations and reasonable fundamental and technical behavior might want to look at Financials and Consumer Staples, with the caveat that a bet on Financials is a bet on a steepening yield curve. Different strokes for different folks. You can pick your poison. As an alternative, a diversified approach of overweighting sentiment and price momentum (Technology), fundamental momentum (Health Care), and contrarian picks (Consumer Staples, Financials) will result in a portfolio with a more balanced market beta. Cam, excellent analysis, and much appreciated!! for tactical portfolio management. Please keep this type of analysis coming! Can, is there any research on deploying the sector rotation strategy using the 3 investment temperament (standalone basis or in combination) in constructing portfolio with superior alpha (statistically significant)? Cam, is there any research on deploying the sector rotation strategy using the 3 investment temperament (standalone basis or in combination) in constructing portfolio with superior alpha (statistically significant)? Not that I am aware of. Blending factors is just a sensible strategy under most circumstances. You should have received an email alert on Wednesday indicating that I had covered all shorts and gone to cash. Sorry you missed it. Please check your spam folder. Our records show that you were sent that email. Please check your gmail promotions folder. I received the ‘cover all shorts’ email on Wednesday, and also received the ‘BTFD’ trade alert this morning. Alerts seem to be working as intended.